As if being a mom is easy. As if struggling with infertility is easy. As if giving your body to someone else for nine months, then for another year of breastfeeding is easy. As if keeping tiny humans alive is easy, as well as making sure they are emotionally well-adjusted. I’m not the only one that does this either. I’ve heard my friends do it. I’ve overheard other women say it at mom groups, activities, or at school. I even heard Trista Sutter of ABC’s the Bachelorette say it in her TEDxVail Talk. Why do we do this? Why do we diminish who and what we are? Why do we label ourselves and put ourselves in a box? It’s like we are telling the universe that this is our limiting belief and all that we can be. We are telling ourselves that our job as mothers isn’t important. And by uttering these words we are also telling others that we don’t value ourselves. I also realized that by saying out loud, “I’m just a mom,” I was also judging myself – to stop others from doing it first. It’s time for every mother on this planet to take this phrase out of our vocabulary right now. All of us are not JUST A anything. We are warriors. We have done the most beautiful and physically challenging thing possible, created and grown another human being. We have cared for them. Nurtured them. Loved them. And given all of ourselves to our children – our hearts, our thoughts, our bodies, and some of us have neglected ourselves in the process. Being a mother in itself is a full-time job. It pushes us to extremes we didn’t know existed and makes us not only care for our home and children but makes us also want to be better humans ourselves. Because we understand that our children become what we are, like little sponges. And we want to set the best example possible. Sometimes in the evenings I take the dog for a walk on the golf course and look back over at our yard. I see the tree swing, and the twinkling lights glowing in the house. I see the butterfly garden planted together, and I hear the laughter. I see them running down the hall and feel the love coming out of our home. This little scene that I rarely take the time to see from the outside is more than JUST A anything. It’s full of sweat, tears, determination, but most importantly love. So I have stopped saying, “I’m just a mom,” because I’m so much more than that. 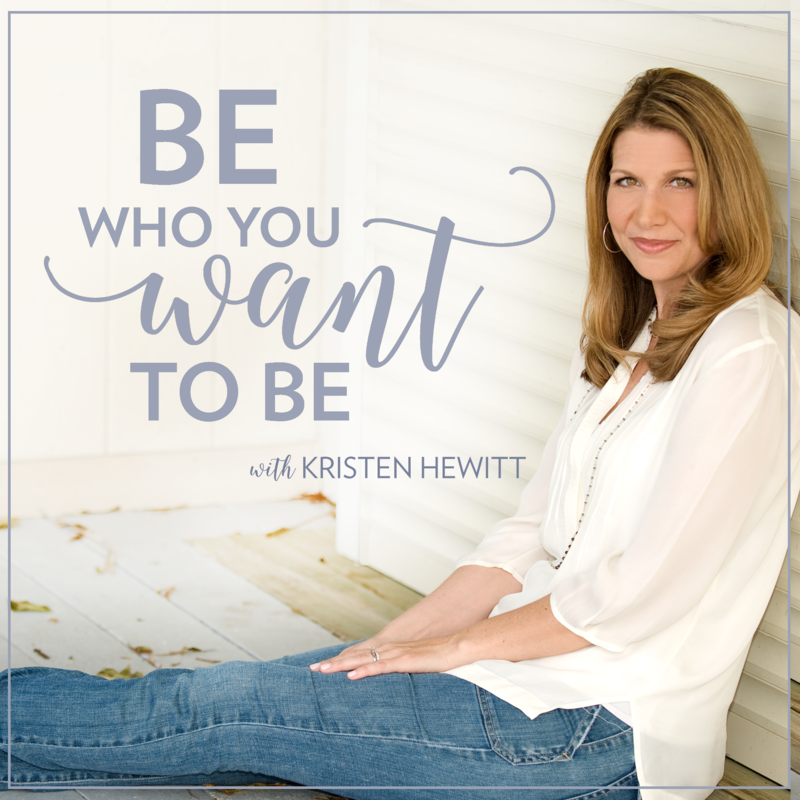 This was one of the topics of conversation of my new podcast called BE WHO YOU WANT TO BE. Trista Sutter (of the Bachelorette) and I talk about motherhood, marriage, her reality TV start, and self-worth. It’s a really honest, fun, and candid conversation where we dive deep into the trenches of mom life and gratitude and learn what her magic words are. Tune in here and please SUBSCRIBE so you don’t miss a single episode! You can also listen here if you don’t have an Apple device! You also need to realize that if you say it within earshot of your girls you’re telling them that being a mom really doesn’t have any value! Is that what you want them to think instead of how marvelous, wonderful, and fulfilling it is to be a MOM?? You are the only one who has the ability to grow a human inside of you! You are the one who nature’s them, some of us have chosen to do that by again using our body, but that doesn’t make a mom who bottle-feeds any less of a mom. You are the one who lies awake at night worrying about them no matter their age. You are the one they run to when the are hurt because YOU are the one they think of when they need to be comforted! A MOM is the most important person in a child’s life for the first few years of their life and then again after those teen years pass. I’m proud to be a MOM and thank God that He chose me to be one!! Being a mom is wonderful, that’s exactly what I am saying. But I am more than a mom an so are you. I don’t like labeling myself anything! I am a woman, a child of God.